The absorption of light differs based on the material on which it shines. A global team of researchers including material scientists from Kiel University has developed a complex hybrid material that can absorb light with a distinctive wide array of wavelengths. Additionally, the material also scatters light, rendering it to be even more fascinating for industrial usage. This is seen as a significant step in optoelectronic techniques, enabling the use of laser light as a successor to LED lights. The outcomes of the research have been reported in the journal Nature Scientific Reports and characterize the accomplishment of a wider international collaboration involving researchers from Australia, Denmark, Germany, and Moldova. 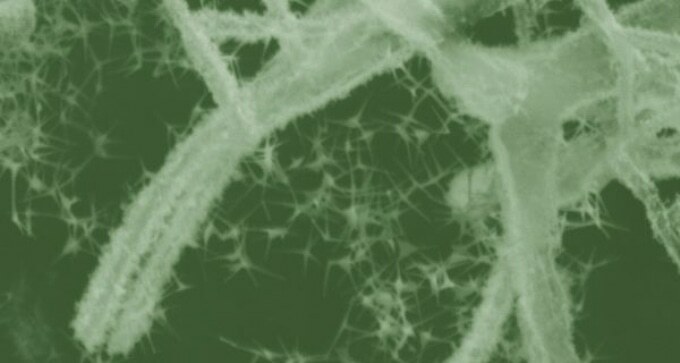 “As material scientists we are always in demand to develop nanomaterials that can absorb a wide range of light,” stated Dr Yogendra Mishra, who is the head of an independent subgroup of the Functional Materials working group of Professor Rainer Adelung from the Institute for Materials Science at Kiel University. The group has high proficiency in producing tetrapods, that is, four-armed zinc oxide structures. We have now made tetrapods in a new way and created a hybrid material of carbon and inorganic material. It demonstrates the ability to absorb a broad range of wavelengths from ultraviolet to infrared—and it also diffuses light. The complex 3D-tetrapod-architecture of our material spreads light in all directions. The scattering effect of the hybrid material has urgent demand for the application of laser-based lighting in optoelectronic technologies, similar to those in automobile industry. “Products of modern light technology should be as bright as possible without producing a lot of useless heat. That is the case with a normal bulb, which have almost become museum artefacts. The LEDs of today are better but powerful laser-based lights would be most efficient,” stated Mishra, a material scientist. The main reason for previously not using laser-based lighting for a wider industrial application is indeed its power, which has the ability to damage human eyes. The international group of researchers attempted to develop hybrid material elements with the potential to degrade the laser light’s brightness without reducing its high power. The complex 3D-tetrapod-architecture of the innovative hybrid material created as a result of the close collaboration provides such an effect. The zinc oxide tetrapods from Kiel University were transformed into aerographite carbon tetrapods at the Hamburg University of Technology (TUHH). Researchers from the Technical University of Moldova made use of the special sputtering machine to place larger amounts of small-sized zinc oxide nanocrystals on its surface, where the shape of the nanocrystals was similar to that of the tetrapods. The outcome was a hybrid material that had an interesting spatial architecture comprising of aerographite microtetrapods adorned with zinc oxide nanotetrapods. Research collaborators from the University of Sydney and the University of Copenhagen analyzed different characteristics of the innovatively developed nanomaterial. The zinc oxide-Aerographite hybrid architectured materials are technologically very important and our goal was to develop cost-effective approaches for their fabrication as well as to achieve a proper understanding of their unique properties. Director of the National Centre for Materials Study and Testing at the Technical University of Moldova. The researchers believe that when the material is employed as a scattering element, it can be a highly favorable one for optoelectronic technologies, specifically because it involves an economical and simple technological process.